Remember the 80's? Gordon Gecko's comment "greed is good"? No? Ok... what about the 90's where every development company in the world and their dogs created tycoon and sim games? Well that is where Rollercoaster Tycoon 2 fits in the world of gaming. Rollercoaster Tycoon 2: Whacky Worlds is an expansion pack for the highly popular Rollercoaster Tycoon 2 series and has you playing the role of park manager where you must create, manage and build your own theme park. Whacky Worlds takes the rollercoaster theme one step further and allows the player to build theme parks around famous landmarks such as the Eiffel Tower, Big Ben and even the Statue of Liberty to name a few of the locations. Each location also has its own theme, for instance if you build a theme park in China, your park will have a familiar Chinese feel to it such as Chinese architecture, panda bears and ancient Ming dynasty warrior statutes. The developers have also included Australia that lets you create your own Australian themed rides that include giant Kangaroos and koala bears. The basic premise behind Whacky Worlds is to create and professionally manage your own theme park. 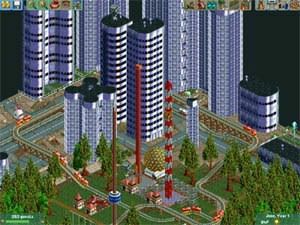 It is basically Sim City for theme parks but the nifty thing behind the game is that you can even build your own rollercoasters that can be extremely fun and also extremely annoying if you mess up the creation of it. Graphically, Rollercoaster Tycoon 2: Whacky Worlds looks extremely dated compared to the games of today but remembering that this game is purely a sim, the bland graphics can almost be forgiven. 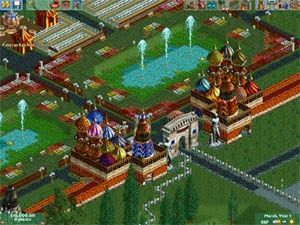 The isometric view of Whacky Worlds is still the most perfect view for sim games and allows the gamer to easily create a theme park. The game itself is quite colourful and features some amazingly sharp graphics such as texture models and even a few bits of animation such moving rides, people, animals and flags moving in the winds. Some of the locations are also extremely detailed and actually make the gamer feel like they are building in the specified country like Australia or China. The sound effects of Whacky Worlds feature all the real-life sound effects that you would expect to hear at a theme park such as the sounds of people, children screaming in delight and noises of rollercoasters. Musically, Whacky Worlds is a little lack lustre and features some very old computer generated midi music that is neither good nor bad but does help keep you entertained. 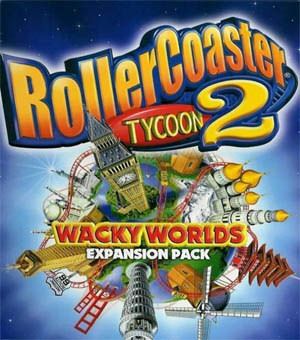 In conclusion, Rollercoaster Tycoon 2: Whacky Worlds is an interesting expansion pack that I would recommend to all sim lovers. The only downside to the game is that it requires the original game to play so you must purchase this game in order for you to enjoy it. 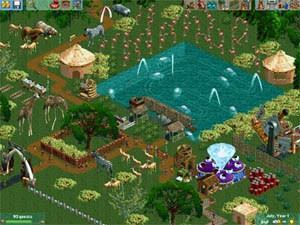 Although the graphics are a little dated, the colours, backgrounds and texture details on the park is quite detailed. If you need a game that will keep you occupied for hours than look no further, for Whack Worlds is the perfect game to hold you over until winter has ended. - Fill your parks with famous and exotic landmarks including the Eiffel Tower, Big Ben, Great Wall of China and more! - Over 50 new rides from around the world to thrill your park guests. - 17 new scenarios based on real-world locations. 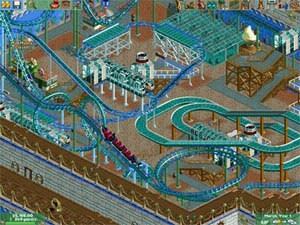 - Over 200 new game elements that integrate into RollerCoaster Tycoon 2.